After his graduation in 2011, he came to Naomi’s Village where God has given his family an even larger family, he says. Bonface and his family have been living on site at Naomi's Village ever since. Bonface gave his life to Christ in 1999, after his life was dimmed by alcoholism in his teenage years. His testimony is that Jesus saved him and gave his life meaning and hope. In 2003, God called him to minister as an advocate for the weak, the vulnerable, and the voiceless, for His glory and honor. Bonface began as a volunteer at Naomi’s Village for three months before he was hired full time. He has served in various roles from the beginning, including education and activities, spiritual care, and oversight of caregivers. He also currently oversees all outreach at Naomi’s Village. Bonface says he loves Naomi's Village and looks forward to spending the rest of his life there. 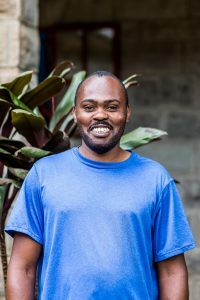 He is currently pursuing a Bachelor's in Counseling Psychology at Africa Nazarene University as a part time student. 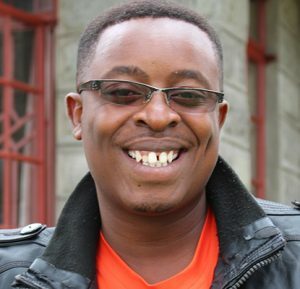 He is married to Margret Kuria and has three children, Kimberly, Kevin and Kendrick. Flo has been at Naomi's Village since January 2011. 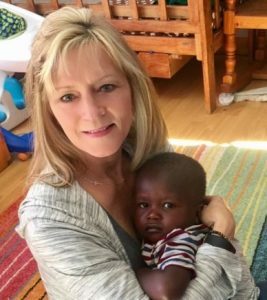 She started as a house mom, then became a house mom supervisor, and eventually the Director of Social Work for Naomi's Village. She says for such a time as this, God has called her to be among the many destined helpers of our loving, adorable children. Veronicah Kageche earned a Bachelor of Arts in Business Administration - Human Resources. Veronicah serves as Naomi’s Village Deputy Director of Administration and has a wealth of experience in human resources and program management. Her passion for the smooth execution of Naomi’s Village administrative tasks and staff welfare is evident in her day to day interactions with the staff and people of the village. Veronicah is married and blessed with three children and enjoys spending her free time with her family. Zakayo is a qualified chef who serves as the supervisor of the catering department at Naomi's Village. He takes special care to ensure that the children and staff of Naomi’s Village receive a balanced diet. Zakayo also prepares all meals for visitors to the NV Guesthouse, and sees to it that guests have a safe and comfortable stay there. He is a father to one girl, J’Lean. In his spare time, he enjoys reading the Word of God. Tinkoi Ole Sangiriaki counts himself blessed to be among the few of his generation educated from the Maasai tribe. Tinkoi has 32 years of experience in the building industry, including with local authorities, the private sector, parastatal entities, and nongovernmental organizations. 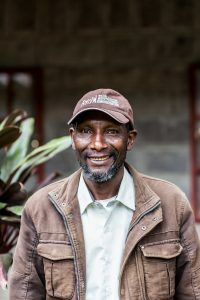 Serving as the Naomi’s Village Facilities Supervisor, he is in charge of overseeing maintenance, security, construction, gardening, groundskeeping, housekeeping, and transportation. He has three children – Ian, Destiny and Sally, who are all in their early 20’s. Bob and Julie Mendonsa met in 1987 while attending Baylor University in Waco, TX. They graduated the next year, Bob with a B.S. in biology and Julie with a B.S. in secondary education. Bob was accepted to medical school at UT Medical Branch in Galveston, TX, and Julie took a job teaching middle school math in Garland, TX. They married in 1991 and Bob went on to complete a 5-year orthopedic surgery residency at UT Medical Branch in 1997. During Bob’s training in Galveston, Julie become the chairperson of the math department at La Marque High School. After residency, Bob joined Orthopedic Associates of Flower Mound and Lewisville, where he served in private practice for 11 years. Bob’s practice focused on arthroscopy and sports medicine. Bob and Julie had two children, Emily and Will, and bought a home in Flower Mound. Emily and Will attended Coram Deo Academy in Flower Mound. 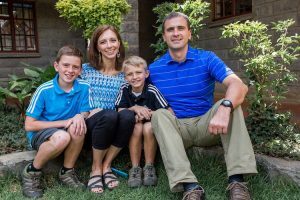 In 2003, the Mendonsa family started taking yearly trips of one to two months to Kijabe, Kenya, for Bob to work as a volunteer orthopedic surgeon in a mission hospital. During that time they developed a vision and plan to move to Kenya and build a children’s home. The Mendonsas moved to Kenya in 2008 and broke ground on Naomi’s Village Children’s Home in 2009. Bob and Julie both retired from their full-time jobs as surgeon and teacher, respectively, in July 2010. They now work full-time at Naomi’s Village in daily administration, intake of children, employee training, and continued fundraising. They plan to live in Kenya indefinitely to help raise Naomi's Village's children as future leaders of their nation. 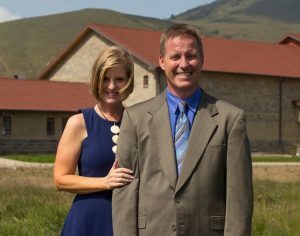 Mark is the director of Operations and Spiritual Care at Cornerstone Preparatory Academy. He was a pastor at a church in the Chicago suburbs for 13 years prior to joining Naomi’s Village in 2015. Mark has a passion for discipleship and getting things accomplished! 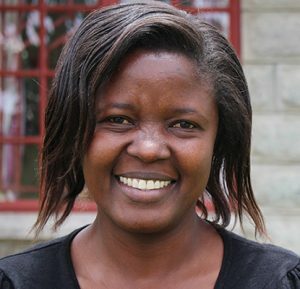 Liz is the child sponsorship coordinator and also the early childhood coordinator for Naomi’s Village. 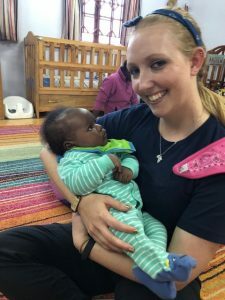 She taught preschool at a church preschool in the Chicago suburbs for 13 years prior to joining Naomi’s Village in 2015. Liz has a passion for early childhood education and early literacy. She graduated from Moody Bible Institute in 2000 with a degree in Christian education. 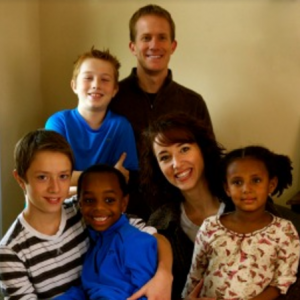 Liz and Mark married in 1998 and have two children, Jaden and Josiah. Steve and Anji Sisler met and married during veterinary school at the University of Wisconsin. They have four children; Nathan (16), Cade (14), T.J. (9) and Talia (7). Sponsoring children through Compassion International and adopting their two youngest children from Ethiopia opened their hearts to the plight of children living in poverty. Providing hope and opportunities to children living in poverty has become their life's calling. They moved to Kijabe, Kenya in 2015. Steve works primarily with Community Development Projects that empower the parents of community children at Cornerstone Preparatory Academy, and Anji is the Cornerstone Scholarship Program Coordinator. Allison is following her passion to work alongside the nurses and social workers at Naomi's Village to develop the MTOTO program. She has served with Naomi's Village three times as an intern over the last two years and loves spending time with the amazing kids and staff! Allison graduated from Grand Canyon University in 2015 with a Bachelor of Science in Nursing and has earned her Registered Nurse license. 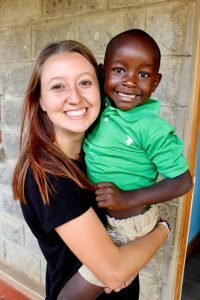 She loves working with children and is looking forward to all that God has in store for her in Kenya! Kim has known Bob and Julie Mendonsa since 1997. She helped Bob start his new orthopedic surgery practice in Lewisville, TX that year, and continued to work side by side with him as his Orthopedic PA for the next 10 years. She went on to serve as the Clinical Supervisor for a large ob/gyn practice in Denton for 6 years, before being hired as a private software consultant in 2014. 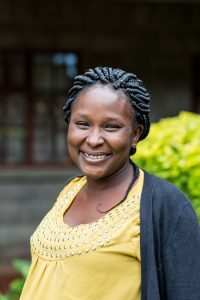 She accepted a position with Naomi’s Village as its US Operations Manager in 2016, feeling that God had called her to do so. Kim is married to Mike and they have 2 grown boys, 4 grandchildren and a German Shepherd. They love to spend time cooking together, being with family and friends, and serving at their church. Sarah Bramlett grew up on the west coast before moving to Arizona to pursue her bachelor’s degree in English from Arizona State University. She spent nine years working in higher education which led her to move to Texas in 2013. In 2015, Sarah went on her first mission trip to Kenya where she fell in love with the people and the culture. She first heard of Naomi’s Village through a close friend and immediately knew she wanted to get more involved. Sarah loves Jesus and believes in the importance of pouring into the next generation. She has spent the last four years volunteering with the youth at her church, and leading a small group of junior high girls. On her spare time, Sarah loves to read, write and spend time with her sweet Rottie-Lab, The Colonel.